Mitigation Banking makes it possible for real estate developers to turn biodiversity into an asset instead of a liability – which ultimately makes it possible to preserve that biodiversity across the United States. But how do such mechanisms work? And what challenges do they face? 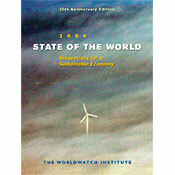 The Worldwatch Institute’s 2008 State of the World Report tackles these and other issues – excerpted here in Ecosystem Marketplace. Note: This article has been adapted from Chapter 9 of the 2008 State of the World: Innovations for a Sustainable Economy. For the sake of brevity, footnotes and sidebars have been eliminated. View the article in its entirety (pdf), or visit the Worldwatch Institute’s State of the World web site. 19 February 2008 | Assuming agreement of the need to protect Earth’s biological wealth, how much would you be prepared to pay to protect an endangered fly? Would you spend $1.50, $15, $150,000, or more? How about society as a whole: How much should society spend on the protection of this fly? Does the answer depend on the nature of the fly itself? On its role in the ecosystem? Or is the calculus based on something else – perhaps on what you must give up to save the fly, or your standard of living, or your priorities? The questions may seem crass and materialistic – and in some ways they are – but they are essential if the world is to conserve the species and ecosystems that sustain humankind. The reason is simple: like many other important matters, the staggering loss of biodiversity is really a matter of values – and not just the principles that allow people to distinguish right from wrong, but also the more mundane concept of economic values. In a way, the issue boils down to the fact that the world is losing species and ecosystems because the economic system has a blind spot. It sends the signal that cutting down a rainforest to grow soybeans or palm oil plantations makes more economic sense than leaving that forest intact. It says that building a shopping mall to sell iPods is more valuable than having a wetland that buffers coasts against storms, filters water, and provides nesting ground for birds. It is what economists call a problem of externalities. Some values – like that of a species of woodpecker or of a particular ecosystem such as a rainforest or a wetland – do not enter into the economic system. They are external to it, and so they are not taken into account when economic decisions are made. Indeed, for eons the price of nature has been woefully close to zero. Supply outstripped demand, and priceless came to mean worthless. But that equation is changing. Priceless nature is becoming increasingly scarce, and therefore needs to be made valuable once again. Giving some economic value to biodiversity would make it easier to protect. At the very least, standing rainforests would not compare so unfavorably when considered against soybean fields and palm oil plantations. Their value would no longer be zero. It may sound strange, even counterintuitive, but the solution to the loss of biodiversity may actually lie in the very same markets that appear to be causing the problem. It may lie in creating payment schemes for biodiversity; mechanisms that give nature a value and that force the economy to look into its blind spots. Luckily, a good number of countries – from Australia and Brazil to the United States – have been experimenting with such schemes, sometimes for more than 20 years, and there is much to be learned. Government sets the price: This is done either by fining those who damage the ecosystems (through endangered species laws, for instance) or by paying those who conserve it (providing tax breaks or subsidies for conservation, for example). While these systems are useful and play an important role in protecting biodiversity, they suffer from a fundamental flaw: they do not send the right signals to the economy; they do not permit society, via markets, to determine and understand the actual value (the price) of biodiversity. Voluntary transactions set the price: Users of ecosystem services voluntarily agree on the value with those who provide the services. These “self-organized private deals” are sometimes mislabeled as “markets,” but true markets depend on multiple buyers and multiple sellers meeting regularly to exchange goods and services. In contrast, in most cases these are one-time-only deals. They may also take the form of “voluntary biodiversity offsets,” in which an individual or company that damages biodiversity pays to “protect, enhance, or restore” an equivalent amount of biodiversity somewhere else. A hybrid system sets the price: In this case, scarcity of a traditionally “public” good is established through government regulation, which then forces buyers and sellers to negotiate in order to set a price for the good or service in question. Examples of this include various “cap-and-trade” schemes in the United States for sulfur dioxide and in Europe for greenhouse gases. These schemes create true markets because they generate demand for services from multiple buyers and therefore lead to the provision of services from multiple sellers. While government payment schemes and voluntary biodiversity offsets are extremely useful and are likely to account for the majority of global payment schemes for biodiversity in the near future, they tell more about where we are now than where we might be in the future. The new and emerging regulated markets for biodiversity offsets hold the key to that future. Therefore, we are focused here mainly on the third of these mechanisms: regulatory cap-and-trade systems. There is a small town nestled in the sand dunes east of Los Angeles – Colton, California – that provides some idea of the new world that may be emerging as a result of regulated markets for biodiversity off-sets. Colton is smack in the economic center of San Bernadino County, one of the fastest-growing counties in the United States. But there is a fly in Colton’s ointment of future economic growth. The city is currently involved in a series of legal battles over how much it should be prepared to pay to save an endangered fly: the Delhi Sands Flower-loving Fly, a rather pretty insect that, like a butterfly, hovers and sips nectar from local flowers. This tiny creature has the distinction of being the first fly—and only the seventeenth insect—to be declared an endangered species in the United States. According to the U.S. Endangered Species Act (ESA), no individual or entity, public or private, can harm an endangered species – not even a fly – without a permit from the government. Thus, shortly after this fly was listed as an endangered species, construction of a hospital in San Bernadino county ground to a halt. The hospital had planned to pave over seven acres of occupied fly habitat, but that all of sudden became illegal. The hospital then had to spend $4 million redrawing its plans, moving its parking lot 250 feet, and making a few other minor changes. All so it wouldn’t harm a fly. How much is a fly worth? Do you judge by what the fly does? With this fly, scientists do not know the answer to that question. They know that pollinators, such as this fly, tend to have important and symbiotic relationships with the plants they feed on. In some cases, without the pollinator the plant cannot reproduce. Perhaps the flower-loving fly plays that role. Or it could be a cornerstone species, without which an entire ecosystem could collapse. Or maybe protecting this fly will protect dozens of other species, some of which may not even have been discovered yet. The state of California, in contrast, has a more moderated view. Having determined that the fly should be protected, it decided to let the market decide what it costs to conserve it. And the market determined that the going rate in California for Delhi-sands fly habitat is currently somewhere between $100,000 and $150,000 an acre. This story is interesting not so much because it is hard to believe that people are buying fly habitat – let alone paying $150,000 for it – but rather because it forces society to answer that crass and materialistic question: How much is nature really worth? Some would argue that the question should not even be asked. And yet society answers this question “by default” every day. Every time people buy soybeans, for example, they are putting a value on the Amazonian rainforests that were cleared to grow them. At least in the case of the fly, the price tag is clear, evident, and visible. If a developer wants to pave over fly habitat, it will cost the company (in today’s market) as much as $150,000 an acre. If that were all there was to this story, the concept of putting a price on endangered species would be quite troubling. It implies that someone could pay the price set by the marketplace and then go ahead and destroy the last surviving population of a species. But that is not what is happening. The $150,000 paid to pave over the fly’s habitat is actually being used to protect or create habitat for that same fly somewhere else. It is, in other words, an “offset” – not unlike the carbon offsets people are buying to counteract their greenhouse gas emissions. As the money goes into legally and financially protecting the flies forever (at least in theory), in a way it is a market, or at least a market-like mechanism. It puts a value on endangered species and habitat, turning them into marketable assets. It puts a cost on the fly for those who would harm it, and at the same time it creates a value for those who would conserve it. It is this marvelous alchemy – turning cost into value, liability into asset – that may ultimately allow society to preserve biodiversity. But does it work? And, if so, how does it work? Since the mid-1980s, the United States has had a series of functioning biodiversity markets worth more than $3 billion a year. This system is currently the largest and most well-established experiment on Earth on creating biodiversity markets. Although these are markets involving the private sector, it is government that makes these markets possible. The system that makes the flower-loving fly worth real cold, hard cash begins with government regulation. Indeed, it has its roots in two very important U.S. laws: the Clean Water Act (CWA) and the Endangered Species Act, both passed in the 1970s. Anyone wishing to dredge or fill a wetland considered of national importance in the United States must first obtain a permit through a program administered by the U.S. Army Corps of Engineers and the U.S. Environmental Protection Agency (EPA). In considering whether to award this permit, EPA and the Corps are supposed to follow a process known as “sequencing,” in which the first step is to determine if the damage to the wetlands can be avoided. If it cannot, the next step is to minimize the damage. Finally, the developer is supposed to offset, mitigate, or compensate for any damage that cannot be minimized. This hierarchy should be considered in all forms of offsets, but it is not usually codified into law. Section 404 of the CWA is an exception. The law is also quite clear on what is considered appropriate compensation for the damage to wetlands: developers must “create, enhance, or restore” an amount equal to or greater than the amount being damaged in a wetland of “similar function and values” in the same watershed. In some special cases, protecting a similar wetland is considered suitable compensation, though this is rare. The law recognizes that not all wetlands are equal: Someone cannot damage a wetland in California and protect one in New Jersey. The compensation for any development projects that harm wetlands – whether done by private developers or the government – can be undertaken by the developers themselves or by third parties. And the Army Corps of Engineers and EPA are charged with overseeing this process and making sure the compensation happens. One of the most interesting repercussions of this law is that there are now private, for-profit, wetland mitigation bankers who make money by creating, enhancing, and restoring wetlands and then selling the resulting “wetland credits” to needy developers. They buy wetland areas in parts of the United States that are likely to experience economic growth; they work with the Corps and EPA to get “credits” for their “creation, enhancement, and restoration” of wetlands (hence creating a “wetland bank”); and then they sell these wetland credits to developers who find themselves in need of compensation. In other words, wetland mitigation banking is possible because the government is restricting supply and allowing the market to set a price – a value – on this particular aspect of biodiversity. In a way, it amounts to governments tinkering with the economic infrastructure in order to protect those aspects of biodiversity that should be valued, the externalities. And it is no small matter: Although there are no reliable figures on the size and value of wetland banking, the best guess is that there are more than 400 wetland banks throughout the United States, that the market for wetland mitigation is worth more than $3 billion a year, and that entrepreneurial wetland mitigation bankers account for about one third of that business. The rest is composed of people doing their own wetland mitigation in order to obtain permits or paying the government or nonprofit groups a fee instead of compensation. Although wetland mitigation banking has proved to be a rather innovative concept – fueling the growth of a new “nature management industry” – it is important to point out that it is by no means perfect. Like all innovations, it has come in for some serious criticism. Some of these critiques are really about a reticence to assign a dollar value to biodiversity, reflecting an inherent dislike for the use of markets and capitalist tools to protect nature. The critics often argue that the only way to protect nature is for government to restrict its use and strongly enforce this restriction. Although there is clearly a place for this type of protection, there are other powerful tools that should be used as well. Besides, without wetland banking, U.S. wetlands would be worth little or nothing, and they would continue to disappear under strip malls, airports, and highways. With banking, their loss has at least a very real monetary cost and can generate funds that may actually lead to the creation of new, very similar wetlands. More important, this cost sends a signal: developers who want to develop a site that has wetlands will spend considerably more per acre, so they had better be absolutely sure they must have that particular site. Two other criticisms do merit concern, however. The first has to do with the fact that it is notoriously difficult to “create, enhance, or restore” wetlands, so the wetland acre used as compensation may be inherently “less valuable” in terms of biodiversity than the acre being damaged. Partly for this reason, many of the U.S. wetland banking systems require that each acre damaged be compensated with two, three, or more acres of wetland “created, enhanced, or restored.” It is a form of overcompensation or insurance and, while it alone does not resolve the matter, it does help. So far, the studies on the quality of the wetlands created as compensation are mixed. In one study conducted in Ohio, scientists looked at the 12 oldest of the state’s 25 wetland mitigation banks. Although these had been studied and monitored by the Army Corps and EPA, the study found that many were not up to standard when checked against stringent scientific criteria. Indeed, against these measurements only three banks scored in the “successful category,” while five passed in some areas and failed in others. The remaining four failed nearly every assessment, functioning more like shallow dead pools than wetlands. More disturbing, none of the government agencies charged with oversight were taking the bank managers to task for this fact. Overall, however, the study found that the banks were most successful when they maximized the areas defined as wetland, minimized areas of open water, and had similar plant and animal life to natural wetlands. Despite its implicit criticism of banking, the study’s author, wetland ecologist John Mack, remains one of the more steadfast supporters of mitigation banking. He says that the conclusion from his study should not be that banking as a concept is flawed, but rather that – when done properly – it can succeed. He argues that by using better designs, performance standards, enforcement, financing, and an appropriate watershed approach, wetland mitigation banking can produce high-quality wetlands. The second important criticism centers on how wetland mitigation banks are monitored and implemented. How is it possible to ensure that an acre of wetland protected today will still be there tomorrow, the day after, and the day after that? There is also a related question: Will funding be ensured to maintain the newly-created wetland? To address these issues, the Corps and EPA require that wetland bankers provide both legal and financial assurances that the “created, enhanced, or restored” wetland will last (presumably) in perpetuity. The legal assurances usually take the form of conservation easements (legal restrictions on the use of land) held by third parties (usually a nonprofit or the government). The financial assurances can take a variety of forms. They are either trust funds set up to produce the interest necessary to run the bank or bonds or letters of credit that hold the bank financially liable for the protection of the wetlands. In addition to these assurances, wetland mitigation banking requires a considerable amount of enforcement and verification. It needs the government agencies overseeing the system to continuously monitor and ensure that the promised wetland protection is delivered. Such “perpetual oversight,” however, is costly and is usually very difficult for understaffed and underfunded government agencies. Nevertheless, as the mitigation industry grows it may generate the funds needed to monitor itself. Despite these warranted criticisms, wetland mitigation is still probably a better system than the alternative—which, realistically, amounted to little or no real protection. Even if there were no wetland banking, roads would still be built, airports would still be constructed, and shopping malls would still go up. Wetlands, in other words, would still be damaged. History shows that society has not been very good at blanket prohibitions on the use of land. And even if all further damage to biodiversity could realistically be prohibited, the problems of government enforcement and monitoring would still exist. It just would be spread out across tens of thousands of projects, and tens of thousands of acres of damaged wetlands, rather than across hundreds of wetland banks. In fact, numerous government officials report that the existence of wetland mitigation banking makes it easier for them to carry out their monitoring, enforcement, and protection work. If endangered species are so important, so valuable, why does the economic system see them as liabilities? The perverse unintended consequence of the Endangered Species Act – forcing people to see endangered species as a liability – is nothing new. Ever since the act was passed some 30 years ago, people have been complaining that listing an endangered species places an unfair burden on the private landowners whose land harbors these species. In such cases, they argue, the incentive is not to protect an endangered species but rather to get rid of it fast, before anyone knows it is there. This is what some have called the “Three Ss Approach to Endangered Species Management”: shoot, shovel, and shut up. Critics of the ESA have often used this attitude to argue that the act needs to be revised or even dismantled. But rather than throw the legislative baby out with the bathwater, there are other, less drastic approaches. One of these involves a process known as conservation banking. In the 1990s, people began looking for a better way to accomplish the ESA’s objectives – one that, instead of penalizing private landowners for harboring endangered species, would perhaps reward them. To do this, they created a system reminiscent of wetland banking. Under this system, landowners with an endangered species on their land can get a permit to harm that species (known as an “incidental take” permit in the euphemistic language of the government) if they can show they have compensated for it by creating habitat for that same species somewhere else. Again, as with wetland banking, this has paved the way for private, for-profit, species bankers to create habitat for endangered species, get credit from the government for any new members of that species found on their land (“new” meaning above an initial baseline), and sell those credits to other developers who intend to damage that species’ habitat or harm the species somewhere else. Not much is known about the size and breadth of species banking across the United States, though it appears that there are more than 70 species banks and that these might trade anywhere from $100 million to $370 million in species credits each year. Whatever the size, the use of conservation banking means that species banking, also known as “conservation banking,” can turn a species liability into a species asset. This is just what one company in Colton, California, discovered. While the municipal government there sued the federal government over the Delhi Sands Flower-loving Fly, saying the government had no place regulating where people can build their houses, a sand and gravel company called Vulcan Materials Corporation acquired 130 acres of prime fly habitat—the largest remaining contiguous area of it in the Colton dunes. But instead of hiring lawyers and attacking the fly’s endangered species status, Vulcan decided to see if it could make the fly pay. Working with the U.S. Fish and Wildlife Service and the Riverside Land Conservancy, Vulcan set up a conservation easement on the land, created a management plan for the fly habitat, established a baseline for flies on its land, and obtained the right to sell “fly habitat credits” above that baseline to needy developers. The bank opened in June 2005 and by December had already sold three of its credits. Although Vulcan will not officially release the sale prices, reliable sources estimate that at least one credit sold for $100,000, although they also say the price has now risen to $150,000 per acre, as mentioned earlier. And presumably he got nowhere because the government made it illegal for him to harm the flower-loving flies. Now, with a bank from which to buy offsets, he has an option. To people like Klemm, the rapid response mitigation solution now offered by the Vulcan bank is no doubt a blessing. And Vulcan is not alone. There are now conservation banks in the United States that sell credits on everything from vernal pool fairy shrimp and valley elderberry longhorn beetle to tiger salamanders, Gopher Tortoises, and prairie dogs. As noted, these markets may be worth as much as $370 million a year. The conservation of endangered species has thus become a very real, and very profitable, business opportunity. Outside the United States, several other countries are also experimenting with regulated biodiversity offsets. For instance, the Australian states of Victoria and New South Wales either already have or are setting up schemes similar to the U.S. system, although with a few important differences. The BioBanking system in New South Wales has proposed a scheme whereby some areas would be deemed too sensitive for development. These would be “red-flagged” and would ideally be the sites where species banking would occur. In other words, the Australians are looking at addressing one of the main pitfalls of the U.S. system: a lack of broad-based, landscape-level planning to determine which areas are most needed for conservation. For now, it looks like the BioBanking scheme will be voluntary, but the hope is that, since compensation for damage is obligatory, BioBanking will be cheaper than the alternatives. In the state of Victoria, the BushBroker scheme is mandatory and applies to native vegetation. The principle is simple: whoever harms native vegetation in Victoria needs to offset that damage by creating or protecting the same type of vegetation in the same bioregion. Applying this scheme, on the other hand, is extremely complicated. There are literally dozens of vegetation systems and bioregions, which makes finding the right match a daunting task. To address this problem, the government of Victoria is building a sophisticated computer matching system that it expects will be operational any day now. While cap-and-trade regulated offset schemes to protect biodiversity can indeed create real markets and can be extremely powerful when used correctly, they also require strong government oversight, effective legal systems, enforcement of rules and regulations, and robust financial institutions. These conditions may be found in some industrial countries, but they are not the conditions of much of world – especially in those parts that hold most of the world’s biodiversity, places like parts of Central and South America, Congo, China, Indonesia, Madagascar, and Mexico. So, what can be done in those parts of the world? Fortunately, the underlying concept behind both conservation banking and wetlands mitigation banking – that is, putting a value on biodiversity – applies in all countries, even if the exact systems for providing these payments may not. Even the U.S. government has a multimillion-dollar-a-year program to help farmers and private landowners conserve. It comes in the form of Farm Bill payments such as the Wetlands Reserve Program, the Conservation Security Program, the Conservation Reserve Program, and the Environmental Quality Incentives Program. In Brazil, the government requires that a minimum amount of a landowner’s territory be kept in forest cover. There is also a law on Brazil’s books that requires compensation for damage to biodiversity, although the laws to determine that compensation are not adequately established yet. Similarly, in places as far afield as South Africa, Colombia, and the European Union, laws requiring or encouraging biodiversity offsets are either being considered or already being implemented. The Chinese government has long had a program known as Grain for Green (the official title translates as the Sloping Lands Conversion Program, or SLCP) that pays farmers to keep forest cover on hillsides. Its aim is to help conserve watersheds and prevent floods, but it also affects biodiversity conservation. This is not a market-based system, however; it is a system of government subsidies and payments. The money comes directly from tax revenues and is redistributed based on certain established criteria. While the SLCP system does help increase the value of standing forests (and has an astounding budget of $43 billion over 10 years), it does not directly link the users of the biodiversity services with the providers of those services. Government mediates the transaction, so the users of the service are not receiving information on the cost of their use. Mexico is introducing a similar system. It was modeled on a program for water conservation in the country known as Pago por Servicios Ambientales Hidrolí³gicos (PSAH, or Payment for Environmental Hydrological Services). The PSAH is interesting in that it collects a fixed amount of revenues from water users and then redistributes it to key targeted forested watersheds across the country. The principle here is that by helping protect forested areas in key watersheds, the payments will help support the provision of water-related ecosystem services throughout the country. The program started in 2003 and pays between $30 and $40 a hectare for forest conservation, depending on the type of forest being protected. Currently the program is paying for the management of close to a million hectares. Building on its success with water services, Mexico has received a grant from the Global Environment Facility to establish a similar program to make payments for biodiversity conservation. The problem with this approach is twofold. First, as in China, the money is coming from philanthropic sources or the government. Second, the payment and the payer are severed from the actual service being received. In other words, while all Mexicans contribute a bit of the money they pay for water to the PSAH, they often do not know they are making this contribution. And the money they pay is not necessarily used in the watersheds that supply those individuals with water. Again, the link between buyer and seller is not direct. This makes it difficult for users of the service to make decisions based on the economic costs of their use. One of the most talked about payment for ecosystem services programs, as these are often called, is the Pago por Servicios Ambientales (PSA) program created by Costa Rica in 1996. Private landowners in Costa Rica who protect their forest cover receive a payment from the National Forestry Trust Fund. These payments are made at a base rate of $40 per hectare but can vary depending on type of forest cover. Most of the money for this trust fund comes from a tax added to fuel sales in Costa Rica, but this is supplemented by “environmental credits” sold to businesses and other sources of international finance. Between 1996 and 2003, the Costa Rican PSA program had enrolled more than 314,000 hectares of forested land, transferring more than $80 million to landowners in the process. Once again, this is a government-run program here the user and provider of the biodiversity services are not closely linked. Also, like China’s Grain for Green program and Mexico’s PSAH, the price per hectare of biodiversity is set by government, not via a direct market-based mechanism. They are in effect government monopsonies (one buyer without competition, the opposite of a monopoly) for biodiversity services, and as such they may be paying too little or (though this is less likely) too much for the conservation of biodiversity. The price is largely arbitrary and based on the government’s ability to pay rather than on supply and demand for the service. Despite these drawbacks, the programs in China, Mexico, and Costa Rica have been extremely successful at giving added economic value to biodiversity and, some observers say, have also been successful in their overall goal of increasing forest cover. A particularly interesting and different approach to payments for biodiversity services is found in Victoria in Australia. Through two programs there – known as BushTender and EcoTender – the state has established a reverse auction system for providing government payments to private landowners who conserve local biodiversity (among other goals). BushTender’s success is now being followed up with EcoTender, in which the state is inviting local landholders to submit competitive “bids” for government funding to pay for improved management of remnant vegetation and re-vegetation on their properties. “Where BushTender focused on a single environmental outcome (increasing terrestrial biodiversity), EcoTender aims to achieve multiple environmental benefits, including improvements in saline land and aquatic function,” explains Eigenraam. What is interesting about BushTender and EcoTender is that they use government’s monopsony buying power to invite bids that effectively serve to discover the “best” price at which biodiversity conservation will be achieved. Nevertheless, the buyer is once again the government using tax revenues, so the connection between the buyer or user of the biodiversity services and the seller is still not direct. Beyond government regulation, numerous companies have begun to set up biodiversity offsets voluntarily in places like Qatar, Madagascar, and Ghana because they think it makes good business sense to do so. Like voluntary carbon markets, the number and investment in such offsets is presently modest. But they are likely to become much more widely used as a part of standard business practice. Some observers believe that they could serve as the precursors to larger, more broad-based biodiversity markets in the long term. Essentially, they demonstrate that there can be a business case for investing in biodiversity conservation. To understand whether, when, how, and where voluntary biodiversity offsets should be undertaken, the Washington-based nongovernmental group Forest Trends established the Business and Biodiversity Offsets Program (BBOP). This is a partnership of over 50 companies, governments, conservation experts, and financial institutions from many different countries and led by Forest Trends and Conservation International. The BBOP partners believe that biodiversity offsets may help achieve significantly more, better, and more cost-effective conservation outcomes than normally occur in the context of infrastructure development. The program aims to demonstrate conservation and livelihood outcomes in a portfolio of biodiversity offset pilot projects; to develop, test, and disseminate best practice on biodiversity offsets; and to contribute to policy and corporate developments on biodiversity offsets so they meet conservation and business objectives. Companies undertake biodiversity offsets for one or more of three reasons: they are required to by national legislation (as in the United States, with wetland mitigation banking and conservation banking), they are encouraged to or facilitated by Environmental Impact Assessment legislation or other planning procedures, or they find a legitimate business case to get involved. maximize strategic economic opportunities in emerging markets (for instance, establishing companies to implement offsets). Currently, BBOP is working with partners on projects in a variety of countries, including Ghana, Kenya, Madagascar, Qatar, South Africa, and the United States, and is exploring projects in Argentina, China, Mexico, and New Zealand. Some of the companies the program is working with or in discussions with include Newmont Mining, Rio Tinto, Shell, and AngloAmerican. As these experiences mount up, and as case studies become available on best-practice biodiversity offsets, it is likely that both the supply and demand for these offsets will grow. Countries that establish clear policies may improve land use planning and use market mechanisms to create aggregated offset areas that achieve significant conservation outcomes in high biodiversity-value areas. Whether through voluntary offset mechanisms, government-mediated payment schemes, or full-fledged markets in offsets, the concept of payment for biodiversity services is beginning to take hold. More important, these approaches are beginning to subvert the current economic model that is blind to the value of biodiversity, to the services that species and ecosystems provide, and to the costs inherent in destroying the natural wealth on which human well-being depends. The problem these systems are trying to address is self-evident: When iPods are valued over whale pods, the economic system will deliver ever more species of iPods and wipe out yet another species of whales. When wet-lands are seen as nothing more than mosquito-infested swamps, they will lose out to shopper-infested malls. And as land becomes ever more scarce, the problems will simply be aggravated. The economic system is not broken. It is doing exactly what it was set up to do: deliver more of what people value – or at least more of what the imperfect price signals say people value – and less of what they don’t. The solution to the problem may actually lie in using markets and the economic system to our advantage. Imagine how powerful it would be if market forces – the same market forces that have inexorably pushed for the destruction of rainforests and the extinction of countless species – could be used to protect species, to give them a real value in people’s everyday decisions of what to eat, what to wear, and what to buy. To return to the questions at the start of this chapter: How much should society be prepared to spend to protect nature? The answer will in large measure determine whether humanity ends up living in a world of whales, wild tigers, and wetlands or a world of pavement, iPods, and pollution. Better yet, we can hope that through a form of economic jiu-jitsu these market mechanisms will make it possible for the pavement and the iPods to co-exist comfortably with the whales and the wetlands.